It may seem like a pressure washing business may be a great business venture. You’re not wrong! However, if you’ve never started your own business, there’s likely several elements that you’ve yet to consider. Starting a business – of any sort – comes with a lot of stress and several startup costs that some people tend to underestimate. Still, it’s entirely possible to start your own pressure washing business by yourself! Still ready to give your own pressure washing business the old college try? Read on to see if you’ve got what it takes! Why are you starting a pressure washing business? You’ll want to make sure you’re starting your pressure washing business for the right reasons. While starting your own business can be profitable, it’s also a lot of work, especially in the startup phase. If you have dreams of lounging in a bathtub filled with money while your employees take care of the dirty work, you may be in the wrong field. Before you start your pressure washing business, you need to be sure that you actually enjoy pressure washing. What happens if you get out there on an early assignment and it dawns on you that you absolutely hate the industry? After investing all that time and money into procuring the right equipment, make sure you don’t back yourself into a corner. Be realistic about your goals. It’s not likely that you’ll just automatically fall into good times with tons of clients. That especially won’t happen right off the bat. You have to be dedicated to putting in the proper amount of time and legwork to ensure that your potential clients will trust you. Before that, they have to know that you exist! There’s a lot of preparation that goes into starting your own pressure washing business. You need the right equipment, the proper business savvy, and the skills to do the job correctly the first time. There’s a little bit more to pressure washing than buying some cheap equipment off Craigslist and spraying down houses for a couple hundred dollars a pop. 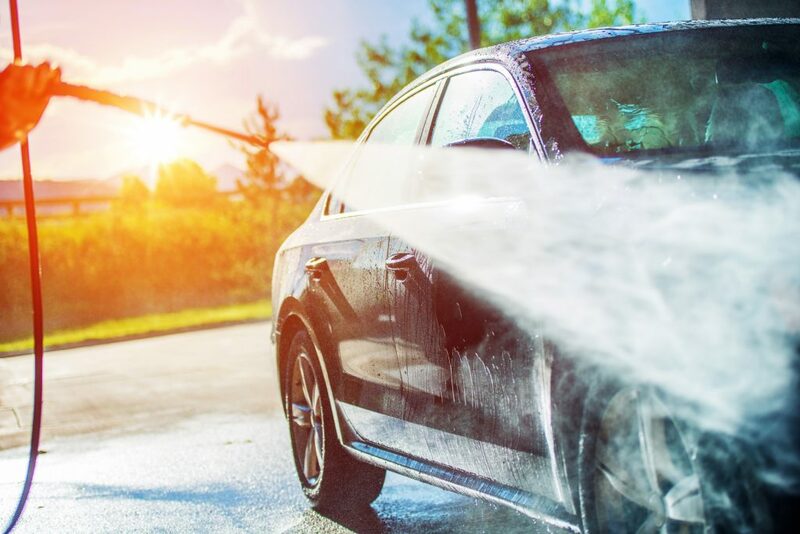 If you don’t know how to pressure wash, the very first step – before you do anything else – is learning how. While experience is sometimes the best teacher, you can garner the basics through YouTube tutorials. Now, just because you’ve watched tutorials or even taken great notes doesn’t mean that you’re automatically ready to jump into the business world. This is where experience comes in. You’ll want to acquire a pressure washer and actually use it. Daily. Clean your house, clean your driveway, clean your trash can. Clean whatever you can. Do you live in an apartment? Ask your maintenance staff if they’d permit you to practice pressure washing some of the buildings. This has the extra benefit of getting you some extra help. If your maintenance staff are in charge of power washing, they may be able to give you some invaluable tips and strategies. Also, if you absolutely despise pressure washing, you’ll be able to figure it out at this stage rather than after you’ve already invested in expensive equipment. 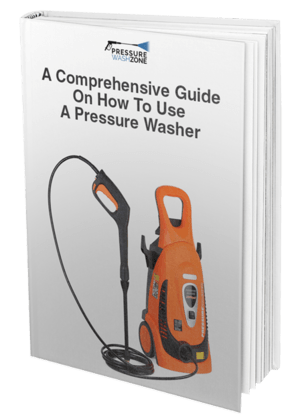 After you’ve learned all you can about pressure washing, whether it’s through your own practice or as an apprentice to maintenance or another company, you need to know the differences between good and cheap equipment. Research the best equipment options for your new pressure washing business. Don’t think you can just get right to it, washing people’s homes with your cheap practice equipment. It won’t do the job well, and it will leave your customers dissatisfied. If you’ve already done the legwork thus far, you can do a bit more and learn what equipment is right for you. There’s more to starting a pressure washing business than knocking on doors, spraying things down, and collecting that sweet cash. You’ll need to have the proper licenses and make sure your paperwork is filled out. This involves registering your business with the state in order to obtain a business license. You’ll need to file your business with the IRS for tax purposes, and there’s the chance you may need a contractor and environmental permit. Check with your state to make sure you have everything in order. You’ll also need to insure your business. Just like getting any other kind of insurance, this can be tedious and time-consuming, but you’ll need liability insurance, equipment insurance, and workers compensation. The biggest expense that you’re expecting is probably the cost of your equipment. You’ll want to invest in the best equipment possible. The right equipment can also help you save money in the long term. Cheap equipment and vehicles will need constant maintenance and replacing. You’ll want to make sure that your pressure washing company can actually turn a profit. Take into account the money you’re putting into the business. You’ll have to recoup that amount (usually your investment costs, and other factors such as equipment and vehicle maintenance) plus more to reap a profit. Figure out the best way to tackle your business plan. How are you going to get the clients that you need to make up your initial investment and licensing costs? The easiest way is advertising! Advertising can be very simple. You can post ads on craigslist (which are free in some areas, meaning that’s not an expense you need to recoup). You can have flyers printed and post them up around town. Don’t underestimate the power of word of mouth advertising! People are still out and about in the real world, and the trick is to get into their heads and promote yourself as the best choice. You can also network! Don’t underestimate the power of joining the ranks of other power washing business owners! However, many people live most of their lives digitally nowadays. Everything is available in a nice, compact mobile format. Cooking shows are condensed to 30-second videos, tutorials are done digitally. If you aren’t taking digital advertising into account, you’re making a huge mistake. You’ll need to set up your own website so people can find you. With the advent of voice search, this has never been more important. People use voice search to help them find local businesses nearby. You want to have a website so those people can find out more information about your business when they discover you this way.Social media can help take your power washing business to the next level. Along with a website, you’ll want to have a social media presence. Social media can help take your power washing business to the next level. There are different types of social media marketing: you can take out paid ads on a website such as Facebook. If you take out paid advertising, make sure you factor it into your business expenses. Even just connecting with people on various social media sites can help take your pressure washing business to the next level. There are various different ways to help make it effective. When developing the perfect strategy for your business, don’t forget to take your vehicle into consideration! The easiest option may be just to buy a run-down vehicle off Craigslist or another website, but that’s probably not going to be the best option. Your vehicle needs to make a statement about your business. If it looks old, rusty, and beat up, what does that say about your business? Does it give the impression that you care about your image? You may do the best work in the world, but outward appearances matter. Another problem with the cheapest vehicle option is that it may break down easier. The last thing you want for your business is to be stranded in the middle of nowhere while you’re on your way to a job. Embarrassing, right? Make sure that your vehicle runs well and at least looks clean. If the paint job needs to be fixed, put in the money to get it done. This also gives you the opportunity to drive business with your company information emblazed across your vehicle! Apart from the fees from the shop, this is a great form of free advertising that can help take your business to the next level! Starting your own pressure washing business can be a lucrative adventure. It’s a very rewarding business, especially if you make it successfully through all the hoops and paperwork you need to jump through. Make sure you’re dedicated to the business. Even if your business is profitable, there’s nothing worse than doing something you hate, especially if you’re dedicating your life to it. However, if you have the business knowledge and the skills necessary, then you already have a good portion of what it takes to succeed. It may seem like a lot – and it is. Starting a business of any sort is never easy. There’s a lot of legwork that you need to put into it, and a lot of money you need to spend before you ever see a dime. But if you want to live the rewarding life of working for yourself and keeping customers happy, it’s a risk you’ll be happy to take!